Who Says Single Centrals Are Impossible to Match? 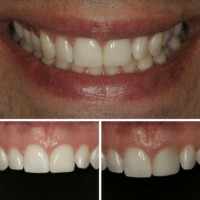 Case of the Month: Who Says Single Centrals Are Impossible to Match? This case of the month shows you how the perfect combination of skilled dentistry and an insightful dental lab can solve even a complicated single centrals case. 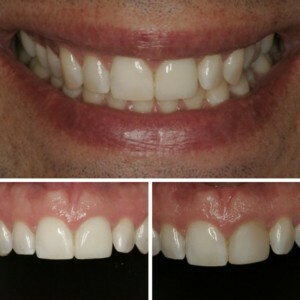 Dr. Olitsky, also known at The Smile Stylist, has created an international buzz in dentistry and has built a reputation for his smile designs and cosmetic cases. He asked Gold Dust to create a perfect match on a single central. This type of case usually poses many difficulties for both the dentist and the lab. Luckily, we make a great team. We’re proud to show the results of this undetectable single restoration using Empress Aesthetic, also known as the impossible feat to make a perfect lifelike match in the mouth! Gold Dust rises to the challenge on every occasion to create stunning beauty, precision fit, and unparalleled strength. The photos speak to the artistry of this case and how critical the perfect combination of dentist and lab technicians always is. Did you miss the first two case of the month posts on prominent asymmetry and prepping successfully with your scaler? Let us know what you think of the third case in the comments!